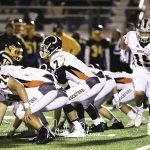 After getting back on the winning track last week Rockford looks to establish a winning streak for the first time this season at home on Friday, September 28th. 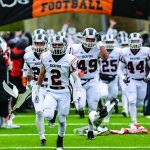 The Rams 21-0 triumph over Grand Haven moved their record to 2-3 on the season and evened their mark at 1-1 in OK Red play. Conference action is again on tap as the Caledonia Fighting Scots will make the trip north to Rockford to take on the Rams this week. Caledonia began the year in grand fashion as they pummeled Holt by the score of 39-8. But it has been difficult sledding over the last four weeks with four successive losses. The first two defeats were in convincing fashion as Caledonia fell to Cedar Springs 46-7 and East Kentwood 56-20. The last two contests have been much more competitive as the Scots feel to Hudsonville 31-17 and to West Ottawa 41-26. Caledonia has been able to score fairly well thus far as the are averaging about 22 points per game. The Achilles Heel for the team has been on the defensive side of the ball however as they are surrendering over 36 points a night. For their part the Rams have been comparable offensively while averaging about 24 points a game. But they have been decidedly better defensively allowing only 21 points per game. The teams have met only four times prior with the Rams holding a 3-1 edge. But the rivalry still fuels a fire in Ram coach Ralph Munger as he fervently remembers the first time the teams squared off in Caledonia in 2014. 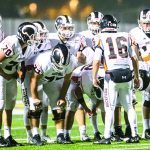 That game saw Caledonia pound Rockford in every manner possible en route to a 42-0 slaughter of the previously undefeated Rams. 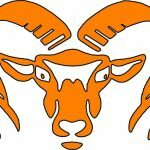 Rockford has done their best to try and erase the memory of that debacle over the last three seasons by dominating the Scots by the scores of 46-20, 31-6 and 51-13 over the last three seasons. 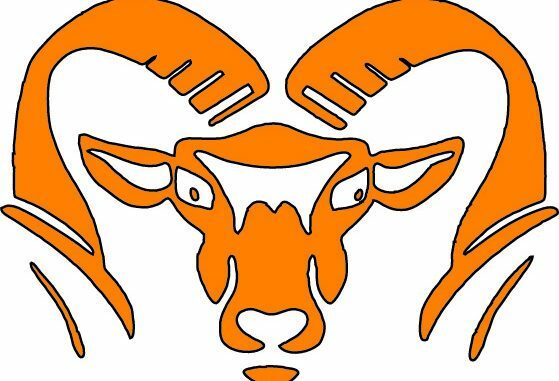 Rockford needs to win their final four games to guarantee that they continue their Michigan High School Athletic Association playoff streak of 23 years. They still have a chance of advancing with a 5-4 mark but that is certainly no given that they would get in at that point. Harvest Fest: Lions Community Tent Oktoberfest is better than ever!